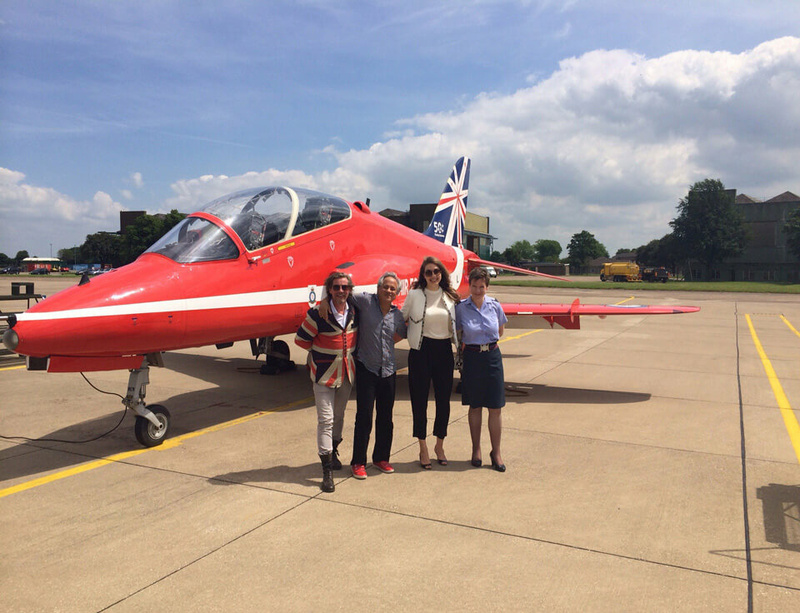 Following a visit to RAF Scampton, home of the world famous aerobatic team “The Red Arrows”, an exciting collaboration has been announced between leading international artist Anish Kapoor and the Red Arrows on a future project which will combine art with aviation in a unique and innovative way. The project, announced by Artliner, will be realised for the Farnborough International Air Show 2016. The collaboration was initiated by Artliner, the organisers behind The Wind Tunnel Project, the 6-week exhibition held in the Grade I and II listed wind tunnels of Farnborough Airport which opened to the public for the first time in July. 2014 marks the Red Arrows’ 50th Display Season at the Farnborough International Air Show. Anish Kapoor said: “I am looking forward to be working with the celebrated RAF Red Arrows on this exciting and innovative project which will come to fruition during the 2016 Farnborough Air Show".